Open to all - these walks are great for seeing Ibiza's stunning countryside and secret spots across the island. You will also get to meet new people! 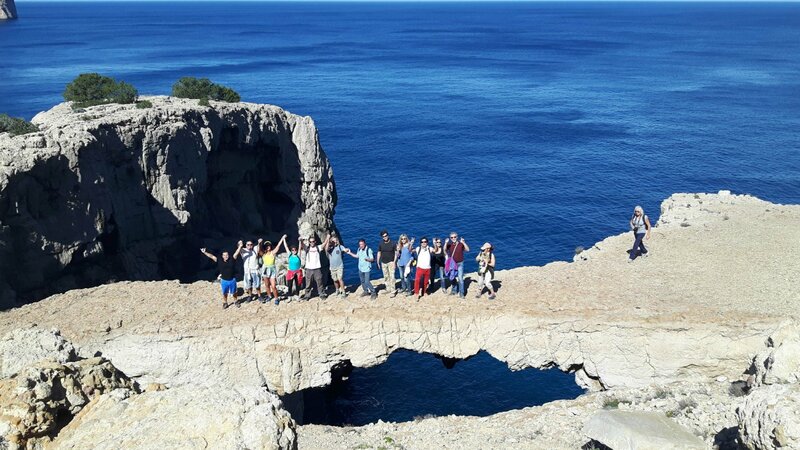 Each week, Walking Ibiza runs four regular walks for the Ibiza ‘community'. Originally set up for island residents, the walks are open to all members of the general public and make for a great way to see stunning coastline and countryside and socialise with new people. Community walks take place every Tuesday, Wednesday, Friday and Sunday and are led by a professional guide. The 2-3 hour Wednesday Short and Sweet walks are so called because at the end there's usually cake or something sweet to munch on. If you are looking for something a little longer, then on Fridays the Classic Community Walk of 4-5 hours is just the ticket. Every week you can see what walks are running by visiting the Walking Ibiza Facebook page and then just turn up and take part. Payment for these walks is by donation, with a suggested sum of €10 per person. Always check on their Facebook page what walks are being run as each week the routes change as do the start points for each one. If there are more than 8 people in your group, please contact Walking Ibiza and they will make suggestions tailored to your needs. Adverse weather conditions: Walks are not cancelled due to the weather unless conditions make the trip dangerous.